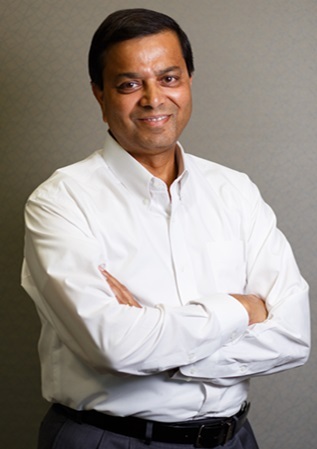 Ajay Prasad is a serial entrepreneur, successful business strategist and an adept marketing expert who before laying the foundation of his various successful entrepreneurial ventures, served organizations ranked among the top 10 of Fortune 500 companies. His areas of expertise include marketing management, business development, consumer research, market analysis and strategic planning within industries such as consumer electronics, GPS-based navigation systems, enterprise software and consumer marketing. The founder and president of GMR Web Team - a leading Orange County digital marketing agency dedicated to helping businesses maximize revenue from the Internet - Ajay also owns and operates GMR Transcription, a seven-figure web-based business and award-winning transcription and translation company which he founded in 2004 to fill a void in affordable and accurate transcription and translation services for writers, students, professors and businesses. In the short span of a decade, the company has expanded its reach to include government institutions and non-profit organizations and has become a trusted partner to more than 9,000 clients across the globe. Focus on customers’ ROI, customer service. Starting two 7-figure businesses- GMR Web Team and GMR Transcription. Personal: Work on my business from different locations in the world. Business: Make by business run without my constant presence. For GMR Web team, our biggest challenge was satisfying needs of 100% of customers when I first started. This was because I had no idea of who I wanted as a customer. I signed up with anyone who walked in the door and ended up with many unhappy customers because they all had different results expectations. It took me 3+ years to understand who my ideal customer is, and what results I can promise to them. Things started to pick up immediately after I resigned some accounts and became selective about who I wanted as my new customers. For GMR Transcription, the challenge that we faced early on had to do with the demand for transcription services. Hundreds of clients signed up for transcriptions services with few months of start of business, but we had a hard time with fulfillment, turnaround time, and quality because we did not have a process in place for our getting work done on time, with quality assurance and the right infrastructure. Almost 100% of my first 200 customers were unhappy. Every marketing activity should generate positive ROI. Steve Jobs, Mahatma Gandhi, Martin Luther King. Applying big data benefits to small businesses. Driving on open roads all over the world.